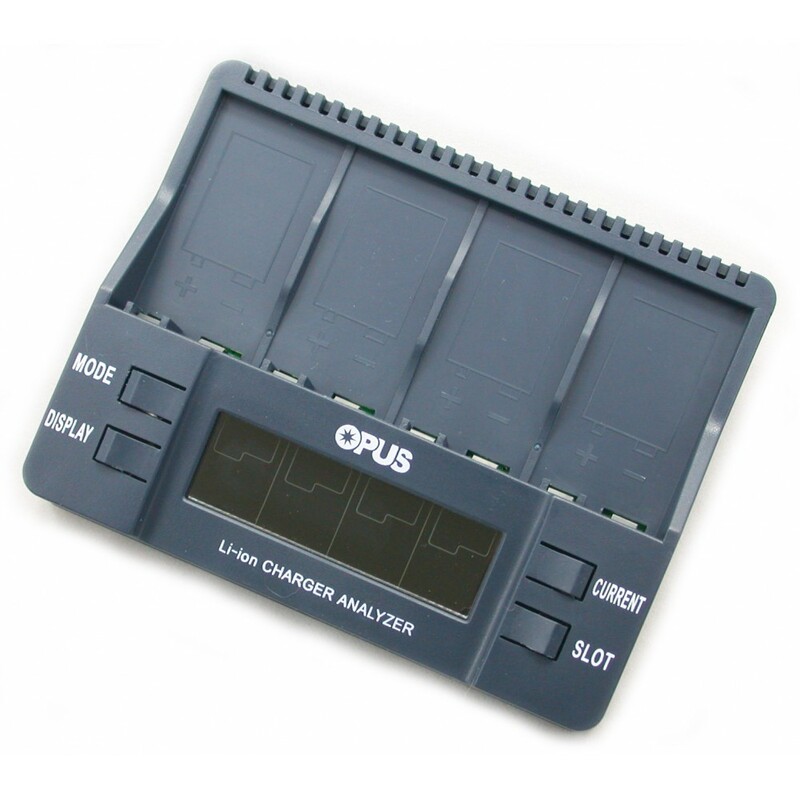 The Li-ion 9V charger you have been waiting for. Easy to setup and use. Easy to read backlit display. Flexibility to setup all channels at once, or to program any channel with any function. Charge them, Discharge them, Refresh them, Test them. Even internal resistance. This charger does it all with ease. Once you use this charger you will wonder why it took so long to get here, makes other 9V chargers obsolete. Works with all Li-ion 8.4V rechargeable batteries. * Charge 9V (8.4V max) PP3 size Li-ion rechargeable batteries. 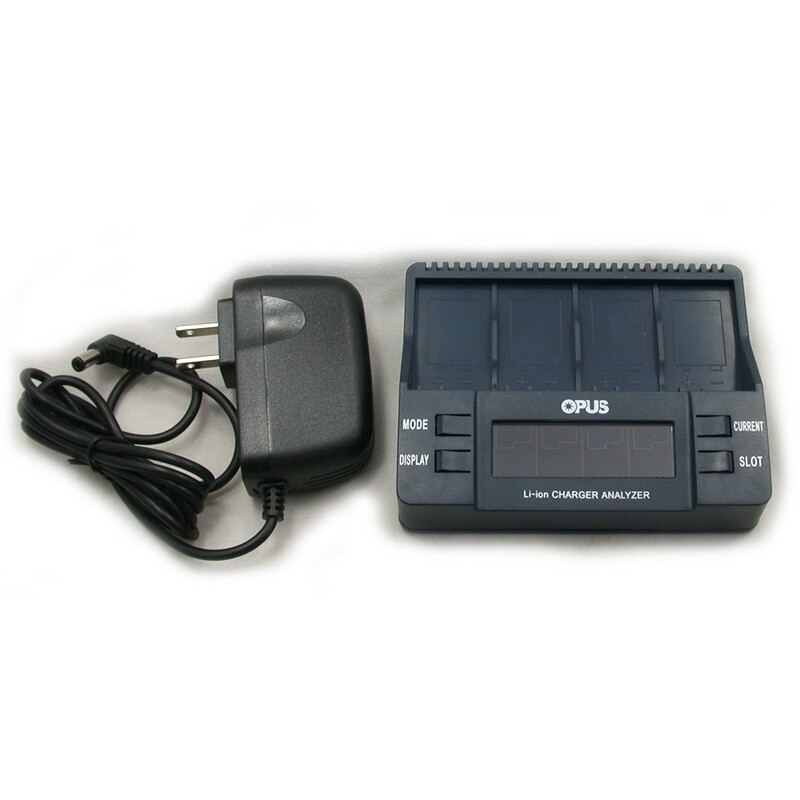 * Charge, condition and analyze one to four 9V PP3 size batteries. 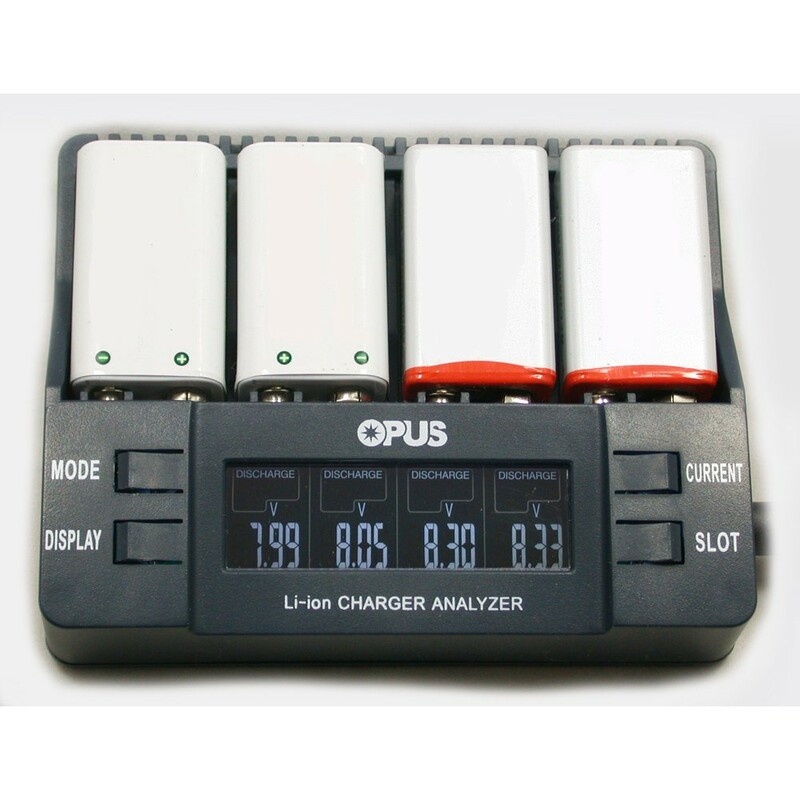 * Charge, Discharge and Analyze batteries. * Adjustable charging rate from 50 to 200 mA each battery. * Li-ion CC/CV (Constant Current - Constant Voltage) charge protocol. Discharge current range up to 200 mA.